The mix of activities at Sheppard Preschool offers many hours of entertainment and wonderful learning opportunities for preschoolers. Subjects include animals, colors, numbers, letters and shapes. When it comes to teaching preschool children about things like colors, letters and numbers, it isn't always easy to find online resources that can help. Many of the online sites that you'll find are devoted to older children, because it's difficult to develop activities and games that truly help preschool children learn those fundamental concepts. Sheppard Software Preschool, is one of those few online websites that really can help. Whether used in the classroom or in the home, the resources that you find at Sheppard will keep any preschool child entertained and busy learning new things. Although the graphics at the website are not stellar by any stretch of the imagination, the layout and easy navigation make it an ideal place where children can first learn to play online games. The layout of the main page is fairly straightforward, and the pictures make it very easy for kids to figure out what will happen when they click on the picture. For example the "Green" link has all green objects in it, and the numbers link has pictures of groups of objects that are circled. Kids will intuitively understand what activities are available there. There are currently five major pages devoted to colors. However, the activity itself doesn't really appear to target any sort of cognitive advancement of color comprehension. For example, in the "Red" activity area, all objects may be red, but the activity is all about clicking on objects, seeing the objects identified through sounds and spoken words, with a little bit of animation thrown in. So, the color activity areas are actually focused on teaching preschool children about identifying things in the real world. There is no doubt that kids adore animals. So, it's great to see an entire area of the Sheppard Preschool website devoted to animals. This area is called "Preschool Animals", and it features all sorts of fun activities where kids can learn more about different animals in the world. One thing that is clear about Sheppard Preschool is that the creators understand what preschoolers are capable of. For example, websites for older children would ask the child to identify animals based on pictures. However, preschoolers would have no idea what many animals are called. But that doesn't mean that they can't try to choose the right picture when provided with a description. The only problem a few of the questions have is that the game designers used a few words that preschoolers would not be likely to understand, like "tentacles." Even though some of the games have those slight shortfalls, the majority of the activities at Sheppard Preschool are well designed. Each of them feature activities that just about any preschool child will love. For example, in the animal activity area, there are a whole range of "creative" games. One of those includes the "Create an Animal Ocean" activity, where kids can place animals into the ocean and watch them as they swim around. After a while the entire ocean will be filled with lots of sea life. Many areas also have flash card activities. These are simple flash card apps where the child is presented with an animated image of an object or animal, with the corresponding word printed beneath it. This is a good first step toward building reading comprehension. Another important step to developing strong reading comprehension is the ability to identify letters. This is one area where Sheppard Preschool really excels. For example, in the Animal activity area of the site, the letters activity shows a variety of animals to the preschooler. As the child clicks on each letter, the animal holds up a sign, identifying the word for that animal with the letter highlighted in red. Another important skill that children learn in preschool is counting. One of the best methods to teach counting in a way that encourages better math skills later on is introducing the concept of "grouping" early. This is exactly what the creators at Sheppard Preschool did with this activity. Children will see multiple objects grouped together, and they need to correctly identify the group that represents a certain number. There are also areas of the website where preschoolers will learn shapes. These activities also tend to integrate words and colors as well. Most of the shapes activities involve correctly identifying the shape for real-world objects. Even though the website itself would not get listed as one of the most well design sites on the web, the quality of the activities themselves more than make up for it. No matter what area of the website kids find themselves in, the graphics, animation and sounds for each of the activities are really top notch and great fun. The mix of activities at Sheppard Preschool offers many hours of entertainment and wonderful learning opportunities for preschoolers. Considering the lack of sites on the web that serve the educational needs of preschoolers, this website is a valuable educational resource. Anxious for my grandchild to start learning with this program. Used it for my other grandchildren and it was good. Today, the Internet is filled with free resources for teaching preschoolers important skills. 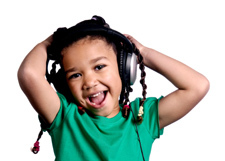 The following sites are six of the best places where you will find wonderful activities that help preschoolers improve their listening skills. A list of the 10 best sources for downloading or printing free lesson plans designed to teach preschool or kindergarten students their ABCs.